Roland was a little sceptical at first. What if they ended up spending a week of their precious holiday in the wrong place? Luckily, it turned out to be a very positive experience. For Qin it was totally mind-blowing, with all the nice people and the intensive meditation. For Roland, whose work is with computer science and robotics, it was thoroughly relaxing, and a good opportunity to think things through. 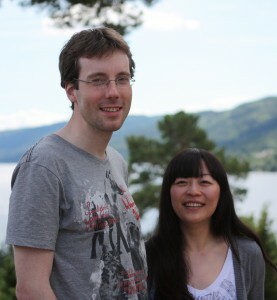 After the intensive retreat, Qin and Roland started working in Oslo, with meditation twice a day as part of their daily routine. Thanks to the good start at Halvorsbøle, it was easier to become regular meditators. “I grew up focusing on discipline and diligence, and I meditated regularly from the first day at home,” says Qin, who works with supply-chain management in an international company. Roland took advantage of Qin’s discipline and also soon established a regular practice. “During meditation, my thoughts often revolve around interpersonal relationships. How did I tackle a given situation? Would I have done it the same way again? Before, I tended to ignore such thoughts, but now I’ve begun to reflect on what’s happening. It’s a kind of personal development. 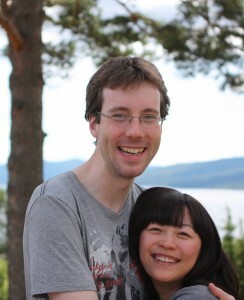 More than ten years ago, while Qin was studying in Germany, she and Roland met in the middle of a forest. They soon discovered that both enjoy being in nature, and this is still a central focus of their lifestyle. They first visited Norway in 2007, not as ordinary tourists, but as passionate nature lovers. Fifteen days of trekking in Norway’s largest mountain area Jotunheimen was Qin’s first experience with wilderness holidays. “I had to carry my own backpack – 15 kilos. When I got it on my back, my initial reaction was that it was impossible.” But she benefited from one of her personal characteristics: she never gives up! After three days, she no longer noticed the pack on her back. For the first time in her life she slept in a small tent in the mountains, and dinners consisted of simple soups they prepared outdoors. One cold morning, as they were about to start a new day of trekking, they discovered that their only boots were soaked, but that didn’t stop them. It was love at first sight – the most fantastic holiday they had ever had. Now they are back to stay. Learning meditation the Nordic way was a good start. Now, besides trying to fit in the daily half hours of meditation on busy workdays, they also try to learn Norwegian. Roland already knew some, and Qin, in her characteristic way, has plunged head-on into language studies, and particularly enjoys learning popular expressions. 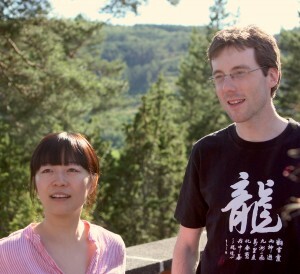 Roland and Qin have participated in long meditations and an M1 follow-up course with guidance in English. This may be the start of an international group of meditators in Oslo, who can come together regularly to meditate, discuss, and share experiences. The plans for the summer holiday of 2013 include a week-long retreat and possibly visits to friends from this year’s retreat. In the meantime, they are looking forward to cross-country skiing during their first Norwegian winter. What a nice way to start a new life in Norway!